AngularJS is a open source web application framework. Simply put, AngularJS is a structural framework mainly used to develop dynamic web apps. It allows the user to use HTML as the template language and the user can extend the syntax of HTML to display the application components clearly. The current chapter AngularJS Overview gives the clear idea about various features and advantages of AngularJS. AngularJS’s dependency injection and data binding eliminates maximum code that the developer will have to write. And, all this occurs in the browser only, thus making it to give its best when working with any server technology. AngularJS was developed by Misko Hevery and Adam Abrons in 2009. AngularJs first version is 0.9 and was released in 2010. The latest version of AngularJS is 1.5.5. AngularJS is a structural framework mainly used to develop dynamic web apps. AngularJS is much more dynamic and flexible with the features like custom directives, two-way binding, services and client-side validation. AngularJS works well with Single Page Applications. Code structure can be defined in a number of patterns but AngularJS mainly uses MVC (Model-View-Controller). AngularJS provides client side validations and allows to write the code in own validations. 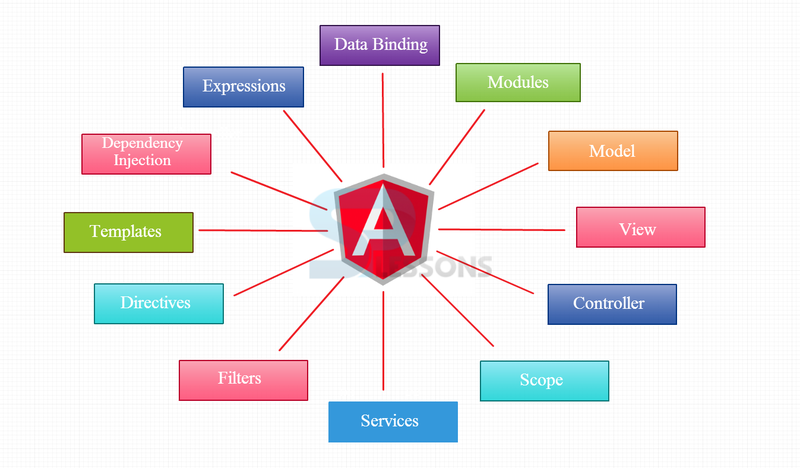 AngularJS uses data binding or expressions to wrap the data from model to view without using any third party plugins. AngularJS reduces the lines of code that a programmer needs to write to develop a functionality. AngularJS makes web browsers smart. AngularJS can create large scale of dynamic web applications and it works on all modern web browsers. AngularJS is an open source framework and can run on any platform. MVC separates the application into 3 parts known as Model, View and Controller to maintain the application the easy way. Two Way Data-Binding: Data-binding in AngularJS automatically synchronizes the data between model and view without any extension plugins. Modules: Modules will define AngularJS application. Model: In AngularJS, Model is used for handling or maintaining the data. View: In AngularJS, Views are like Document Object Model (DOM) and are used to display the data. Scope: Scope is an Application Object($scope), which alludes to the Application Model. It acts as a glue between Controller and View for execution of expressions. Services: AngularJS services has several built-in objects like $http and services can be utilized to arrange the code crosswise over the application. Filters: Filters can be used in controllers, services, expressions and directives with pipe character (|) to format the value of expressions and display it to the user. Directives : Directives are used to extend the HTML DOM with new attributes. They have the prefix ng-. Own directives ( custom directives ) can be created like controllers and services. Templates: Templates are written in HTML that contains specific AngularJS directives and expressions. More templates can be combined with the information from the controller and forms a single page application. For example single.html. Dependency Injection: AngularJS has come up with a dependency sub-system that helps the developers to easily develop, analyze and test the applications. The following are a few dis-advantages of AngularJS . Not secure: Being a client side framework, AngularJS does not guarantee the same security as of server side programs. Further detailed information about these AngularJS Overview features is explained in the later chapters. 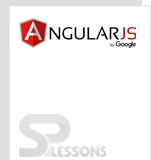 AngularJS Overview chapter draws out following main points. AngularJS is developed by Misko Hevery. Dynamic web applications are developed using AngularJS.